A Lowcountry Backyard Restaurant brings back simpler times, offering the great seafood and cuisine that Southerners enjoyed and grew up on. 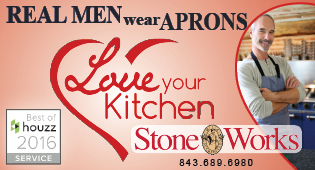 The restaurant strives to use South Carolina products exclusively whenever possible. Fresh shrimp season is on its way – stop by for some this fall. Are you a busy bee? Need to feed your honeys? Healthy and easy menu planning allows you to get the day off from cooking with an easy-to-assemble meal. Always delicious and kind to your wallet too! Bistro 17 is a cozy, waterfront French café, located to the right of Neptune’s statue in Shelter Cove Marina. The restaurant offers incredible lunch and dinner menus, with live music seven nights a week. They are kid (and dog!) friendly. 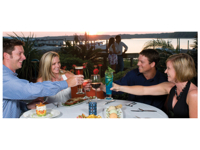 Don’t miss out on a great dining experience overlooking the yachts of Shelter Cove Marina & Harbour. Alfresco dining is also offered. 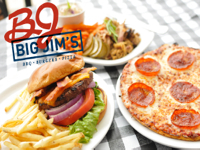 Big Jim’s BBQ, Burgers & Pizza offers signature Southern dishes including slow-cooked barbecue and brisket, a variety of gourmet burgers and grilled pizzas plus homemade soups, salads, seafood, fish tacos and fall-off-the-bone ribs. Open daily for breakfast, lunch and dinner. Happy Hour is 4 – 7 p.m. daily. Join them for Martini Mondays and Prime Rib Wednesdays from 5 – 9 p.m. Big screen TV’s and outdoor seating overlooking the Robert Trent Jones Golf Course in Palmetto Dunes makes Big Jim’s the perfect spot to watch sports. Take out and catering available. 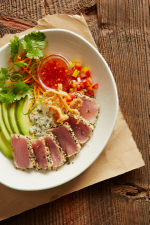 Bonefish Grill offers market-fresh fish and other wood-grilled specialties, and now they have an all new menu with fresh choices and innovative flavors – there’s something for everyone to love. New Steaks & Chops, Bowls and flatbreads. Try the ceviche served in a glass made entirely of ice, or the 13 oz USDA Rib Eye topped with white truffle butter, the premium sushi grade Spicy Tuna bowl, or the longtime favorite with a new twist, Bang Bang Shrimp Flatbread. Combine this with a big-city bar that offers hand-crafted cocktails and an affordable wine list. Visit BonefishGrill.com to make a reservation today! 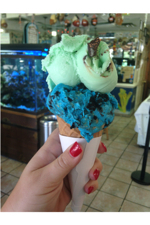 Captain Woody’s – TWO Locations! 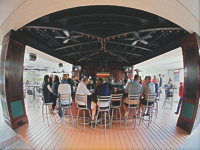 Captain Woody’s is your neighborhood bar and grill, whether your neighborhood is Hilton Head Island or Bluffton. It is the ideal place to come after a day of fishing, sailing or lounging on the beach. You’ll find nothing but the basic staples of island life: oysters, shrimp, cold beer, beautiful sunsets and good conversation. Walking into Captain Woody’s is like walking into your favorite pub back home. The atmosphere is relaxed, informal. 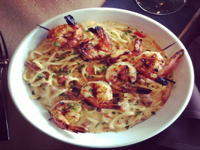 Carrabba’s is your favorite, affordable neighborhood Italian restaurant. The chef offers daily specials, and happy hour is always between 4 and 7pm, with half off draft beers, and half off single liquor well drinks. They open Monday thru Friday at 4pm and for lunch on the weekends starting at 11a.m. 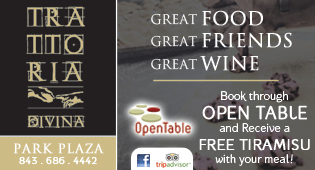 Offerings include a variety of authentic Italian dishes prepared to your liking along with daily promotions. Sit and enjoy wine with delectable tastings on Tuesday’s and wine bottle specials on Wednesday’s. Enjoy the Carrabba’s experience, where everyone is treated like a V.I.P.! Whether you’re craving a fresh crisp salad for lunch or an ice cold cocktail with a juicy, hand cut steak for dinner, you can find it at Casey’s. Or maybe you’re looking to watch your favorite team play on one of the many flat screen hi-def televisions while enjoying a tasty burger or some spicy wings. The friendly staff prides themselves on preparing quality food and ensuring your visit will be a fantastic dining experience. Only fresh fish is served at Catch 22, and Chef Bryan cuts USDA Prime steaks in house. 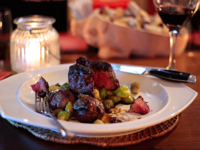 The bone-on Filet is the one of the best steaks around—a must try while on Hilton Head Island. 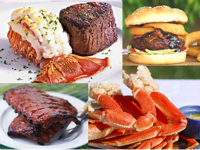 Weekly specials include crab legs (up to 2-1/2 pounds) on Sundays, Mondays & Tuesdays and roasted USDA Prime Strip on Wednesdays and Thursdays. The early dining menu (available from 5-6 p.m.) includes a choice of six entrées, accompanied by side dishes, your choice of salad and a glass of house wine for only $16.99-$21.99. Catch 22 is also a great place to enjoy happy hour with several drink & appetizer specials from 5-6:30 p.m.
A Hilton Head Island favorite! CharBar Co. is famous for its succulent burgers, but is also loved for its outdoor bar and patio area, live entertainment, delicious cocktails, and fun night life. CharBar Co. is a hit with locals and visitors. 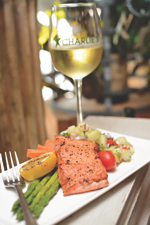 Charlie’s is the only restaurant on the island that writes its menu daily based on the freshest local seafood available. 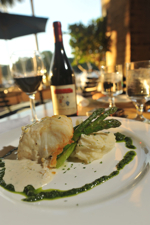 Their epicurean dinner menu offers an array of 14 fresh fish, Rack of Lamb, Filet Mignon, and many other delights. 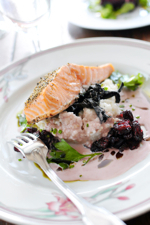 Cuisine is inspired by the ease of a French bistro with a tip of the hat to the American South. They offer an extensive wine list that specializes in California Cab’s, Oregon Pinot Noir, Rhone Valley, and Bordeaux. For more than 25 years, Charlie’s L’étoile Verte has had the pleasure of serving Hilton Head Island locals and returning visitors. 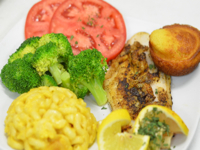 From the tiny one room restaurant they opened in 1982, to there more spacious address on New Orleans Road, they have remained a family-owned restaurant focused on offering a lively experience and quality food. They look forward to serving you! Chart House offers waterfront dining and a gourmet menu. With friendly staff, it is a great restaurant to enjoy while on vacation or for getting away for the night in your own backyard. Make a reservation today! A new joint on the island, but an instant favorite. Chow Daddy’s serves lunch, dinner, late night cuisine and cocktails from 11:30 a.m.- midnight seven days a week. Happy Hour is from 4-6p.m. daily. This restaurant has unique offerings like kale & quinoa salad, fish tacos, smoked fried chicken and more. Live music weekly. The perfect place to meet with friends to enjoy great food and cold beer. CocoNutz always shows all your favorite college and professional sports on our 17 HD TVs, making us the destination for everyone from the casual sports fan to the die-hard fanatic! CocoNutz also has pool tables, dartboards, and a host of interactive games and nightly promotions. 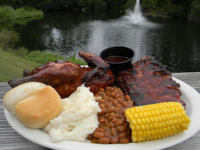 Be sure to order from Chef Brad’s “Smoker Menu”, succulent slow-cooked meats with 3 sides at prices you won’t believe. Executive Chef Keith Josefiak, of Old Fort Pub acclaim, creates progressive American cuisine inspired by each season and our coastal ingredients. This quaint, former artist’s studio is draped in Hilton Head legends and is a favorite haunt of the ghost of the blue lady. Small plate menu available in the lounge. Fun, friendly, and inviting. 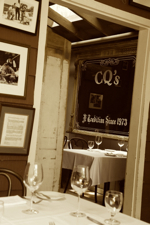 CQ’s is a not-to-be-missed Harbour Town hangout. 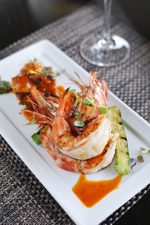 Featured in Bon Appetit and the winner of numerous Open Table awards, ELA’s Blu Water Grille is a shining star on the Hilton Head scene. Fresh catch seafood and prime cut steaks of the highest quality, artfully prepared by our culinary team of experts, compliment the extensive boutique wine selection. 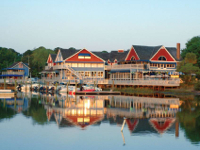 Located at Shelter Cove Harbour, overlooking the marina and Broad Creek, ELA’s is known for the best water views on the island. A casual intimate interior, wrap around dining patio exterior, and nightly entertainment provide the perfect dining experience or location to host special events, private parties, or rehearsal dinners. Open daily. The current owners of The French Bakery are the Belka family from Poland. The Belkas are very passionate about baking! The bakery was opened in 1998 by the Leon family and sold to Karl and Nancy Seitz in 2003. The Belka family lovingly creates baked goods for their local Hilton Head and Bluffton neighbors, as well as for visitors to the area. 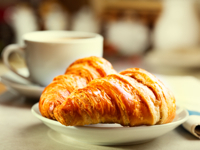 The French Bakery’s bread can be found in local restaurants, golf clubs, hotels and grocery stores like Kroger and Whole Foods. A wide selection of breads, pastries and deli goods are made daily from scratch, then served by the friendliest staff found anywhere. Visit their cozy cafe in Pineland Station or have a seat in the courtyard and enjoy a cup of freshly ground coffee or perhaps a favorite tea. Whether you’re a local in search of other locals, or a visitor in search of some local flavor, you’ll find both at Hilton Head Brewing Company, South Carolina’s first microbrewery and restaurant. The brewery, which can produce up to 2,000 barrels of beer annually, is housed in a corner section of the expansive interior. Patrons may dine either in the brewhouse pub, the lower dining room, or outside on the pet-friendly deck which boasts an outdoor bar and TV. 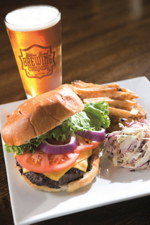 With 40 craft and specialty beers on tap, and an extensive menu, including tasty appetizers, wings, pizza, calzones, burgers, soups, salads, and more, HHBC is a beer and food lover’s destination. They produce the BEST ice cream, because they have to look you in the eye when they serve you. HHIC uses generous amounts of cookie dough, pecans, chocolate chips, whole pistachio, real vanilla, real fruit, and real Oreos…with filling. The pint & quart cups are re-usable. Add to all of that a complimentary toppings bar with primo toppings and a wonderful staff. Enjoy giveaway peanuts in the shell and FREE ionic reverse-filtered water on your visit. Oh, and ice cream, of course. 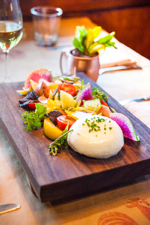 At HogsHead Kitchen and Wine Bar, four-time James Beard Award-nominated chef John Pashak offers unmatched Lowcountry cuisine in a one-of-a-kind atmosphere, creating the area’s best social dining scene. Whether you eat atop the 200+ year-old barn doors in the bar area or butcher block tables in the dining room, you won’t be disappointed. Laid-back live music fills the air on Friday and Saturday nights with the opportunity to dine outside under the awning where polite pets are always welcome. In addition to all-day casual dining, wine-paired multi-course tasting menus are also available by advance reservation only. Reservations suggested. ¡Holy Tequila! taqueria and tequila bar blends gourmet tacos and Mexican street food with new American flavors. 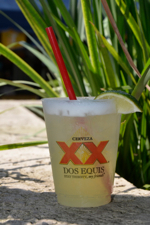 Prepare your senses for an atmosphere that reaches into the heart of Mexico with indoor/outdoor open air dining and a full bar with over 40 premium tequilas! Hugo’s has been serving locals and visitors for over 35 years. Experience dining as it should be with a warm friendly staff, award-winning steaks and seafood and home of Hilton Head’s only tableside flaming desserts. 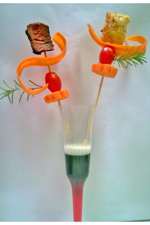 Enjoy dining casually with the quality of fine dining. Enjoy the wine cellar featuring amazing wines from Argentina to California and around the world, craft drinks and accommodations for gluten-free, vegetarian and allergen special requests. This seaside “House on the Docks,” has been a Hilton Head Island tradition since 1967 and is one of the most popular joints in the area. 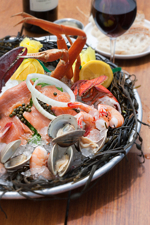 From fresh seafood, to land food, to cocktails, to homemade desserts, Hudson’s has everything to offer visitors and locals—not to mention the beautiful view that can be seen from nearly every corner of the restaurant. 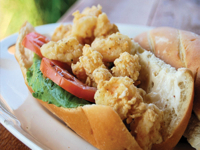 Bring your family and friends for a special Lowcountry treat. Always a family favorite, Jake’s Pizza is available for pick-up. 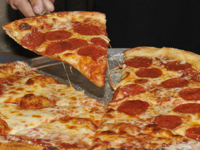 Jake’s Salty Dog Pizza has traditional style thin crust pizza that is sure to please. 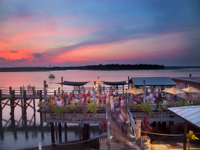 Delicious waterfront dining, happy hour and early bird specials, live local music, comedy in the upstairs venue, an eyeful of Broad Creek from every table, and a fun, casual vibe all around. 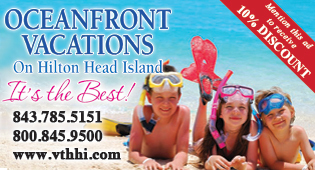 Hit the Island’s Happiest Happy Hour, 5 to 8pm, for specially priced drinks and appetizers. Next up, a tasty dinner: scrumptious fresh catches, juicy steaks, tangy ribs, all-you-can-eat pasta (just $11.99) and lots of local favorites. Early Birder? Dig into a 3-course meal from 5 til 7 for just $15. Live tunes Wednesday thru Friday and big after-dinner laughs with a comedy show right upstairs! From the Old Country to the Lowcountry! 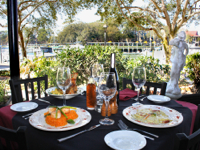 Long-time Hilton Head Island resident, Robert Murray, and veteran Italian chef, Gary Langevin, bring authentic Italian dishes to Hilton Head Island, at Shelter Cove Harbour. 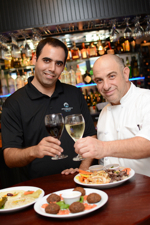 La Fontana Waterfront features a Southern Italian kitchen staff and recipes direct from Naples, Italy. 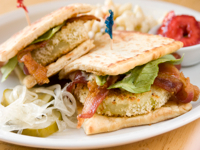 This Mediterranean eatery has been serving delicious fare since 1988. Customers return again and again for Le Bistro’s European ambience, open kitchen, fresh daily specials and superb wine list. With Spanish tiles and Moroccan pottery, the decor in the main dining area, cozy wine bar and airy outdoor cafe is intimate and charming. 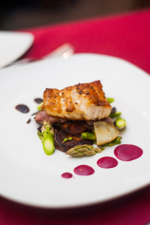 Triggerfish, lemon sole, mussels mariniere, braised lamb shank, filet mignon au poivre and five preparations of veal are just a few of the house specialties. All are served with a Greek salad and warm herb bread. The extensive wine list includes selections from around the world. The wine bar can be reserved for private gatherings of up to 25 people. 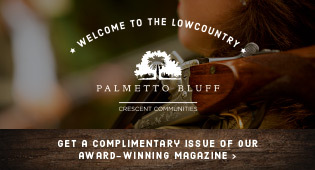 Already a popular locale for breakfast and lunch… Lowcountry Produce, in The Shops at Sea Pines Center, is now serving dinner Monday through Friday evenings and offers live music on Thursday and Friday nights. Locally owned and operated, this farm-to-table cafe delivers a one-of-a-kind Island dining experience. Lucky Rooster Kitchen + Bar is an American Bistro with a Southern soul. They serve inspired dishes ranging from classic steak frites to octopus a la palancha. The bar offers classic cocktails like our Moscow Mule or Negroni as well as over 100 wines fom around the world. Great pizza, salads, and subs with dozens of beers on tap. Open for lunch, dinner, and late night! Affordable and kid-friendly! 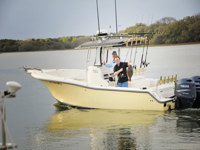 Seating available inside and out on Hilton Head Island and Bluffton. Serving breakfast and lunch all day. Open Tuesday – Friday, from 6 – 3 pm and Saturday from 7 – 2pm. 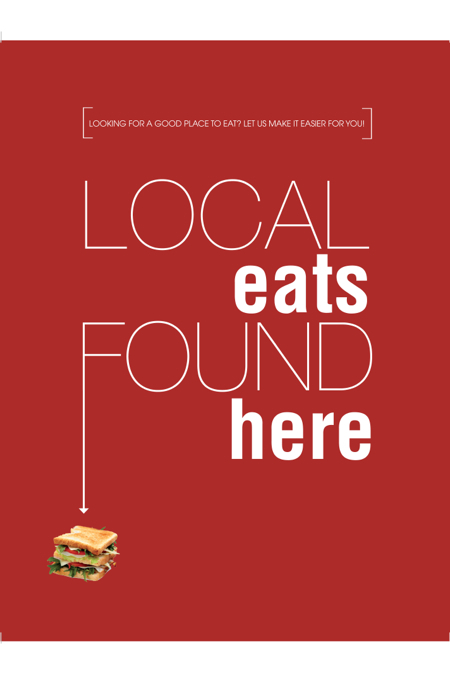 Established in September 2007, The Lunch Lady is locally owned and operated by husband and wife team Mindi & Brandon Meyaard, who work very hard to maintain quality and consistency, in a fun, family atmosphere. Guests are like family to this warm couple and they are thankful for eveyone who chooses to dine with them. Celebrating seven wonderful years! 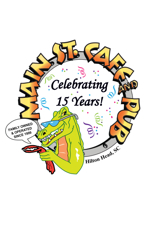 Approaching their 15th Anniversary, serving consistently great food to locals and visitors in a spacious dining room and outdoor pet-friendly deck. The Seafood Chowder, Fried Green Tomato BLT, Parmesan Encrusted Grouper and “All You Can Eat Crab Legs” are some of the most popular items. 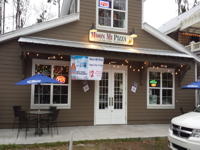 Moon Mi Pizza is located in the heart of Old Town Bluffton in the Promenade. 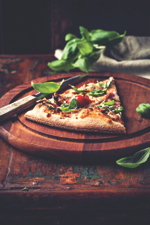 Moon Mi Pizza serves hand tossed pizzas, salads using ingredients from the SC Farmer’s market, oven baked sandwiches and more. They also offer a full bar with daily Happy Hour specials and flat screen TV’s. Meditterranean Harbour Bar and Grill is the only Lebanese Restaurant on Hilton Head Island offering a true authentic and healthy experience. Enjoy fine food near the Harbour with a menu that accommodates everyone’s palates with a wide variety of meats, seafood and Vegan dishes including Gluten-free options. This is the place to enjoy tasteful, refreshing food with a beautiful atmosphere. Service is friendly and efficient, to keep your day on track. Celebrating 10 years of hand-cut steaks, the finest seafood, fresh local produce and in-house ground burgers and sandwiches. Owner Josh hails from Pittsburgh, PA and brings his love of delicious food and Pittsburgh Sports to Hilton Head Island. The laid back décor offers a high quality dining experience in a relaxed casual atmosphere.” Whether you’re out with the family, coming off the golf course, ready to watch the big game or lunch with friends- everyone is welcome at Nick’s! Featuring breathtaking sunset views over the Intracoastal Waterway and Pinckney Island, right next to historic Fort Mitchel, Chef Keith Josefiak’s menu features fresh-from-the-garden produce, local seafood, and tasty steaks to delight your taste buds. Relax on the romantic breeze-brushed deck under moss-draped oaks or gather family and friends inside their window-wrapped dining room. Old Fort Pub is a waterfront destination steeped in Lowcountry history. 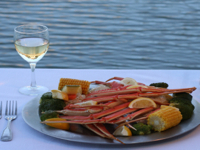 Serving Hilton Head Island for over 20 years, the Old Oyster Factory is one of the island’s finest waterfront dining spots. Enjoy a beautiful view while tasting some fresh and local seafood. Orange Leaf Frozen Yogurt is a self-serve, choose-your-own toppings frozen treat destination like no other, the ultimate dessert experience. Orange Leaf’s 16 rotating unique flavors are prepared fresh daily with fat free milk (lactose free excluded) and mixed in proprietary serving machines that make for a richer, creamier treat like no other. 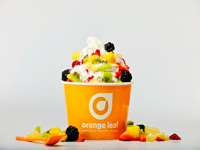 Orange Leaf offers a selection of at least 35 toppings, ranging from kid-friendly gummy bears to crunchy granola. All fruit toppings are prepared fresh daily and rotate seasonally. Success is dependent on year round community support and so they believe in getting actively involved in their communities with fundraising, sponsorships, donations and volunteering on various projects in the community. Customers love the awesome Froyo, fun staff and cool spoons!! Whether you are an early or late riser, start your day at Palmetto Bay. 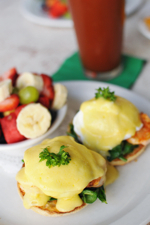 Breakfast is served all day, and the choices are hard to top: “eggs all ways,” hash browns, fresh grits, and deliciously generous pancakes, not to mention a whole section reserved for Eggs Benedict. This is a very popular spot with the locals on the weekends, so plan accordingly. 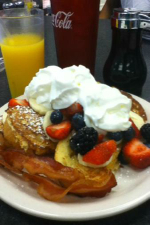 An Island favorite for over 20 years, Philly’s Cafe & Deli is locally owned & operated. Serving fresh bread baked daily, the finest gluten-free deli meats and cheeses, and as their ad says, “The BEST sandwiches on the island. PERIOD!” Open six days for lunch and they offer catering. At The Porch, the team is focused on providing wholesome, belly-warming comfort food and authentic service in a friendly and cozy atmosphere. The Porch at the Beach House serves breakfast, lunch and dinner daily in their newly renovated indoor and outdoor spaces. 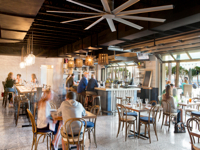 This restaurant is a modern low country kitchen serving small plates and comfort food favorites with a contemporary twist. A healthy destination and your organic oasis! 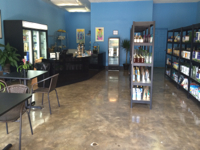 Pure is a health boutique and home to Hilton Head’s original and only organic smoothie bar. Every sip is deliciously nutritious and we do NOT use: dairy products, processed foods, food colorings or preservatives, high-fructose corn syrup, agave nectar, GMO fruits, veggies and products. A Hilton Head Island institution, Reilley’s Grill and Bar has been serving up delicious steaks, seafood, pasta and sandwiches for 32 years. With a sophisticated warm ambience, Reilley’s is reminiscent of a true Boston pub. Dine indoors or out where “convertible” walls open to what is arguably the best outdoor patio in town. Top-notch technology ensures you won’t miss the big game, whether you’re sipping cocktails at happy hour, enjoying their nightly dinner specials with family, or toasting the good life at Champagne Sunday Brunch. Fresh, seasonal ingredients are a uased and presented with just the right flair. Roy’s Place is more than just quality catering. Roy Prescott and his team are still serving the “Remy’s meat & 3” lunch Monday through Friday 11 am – 3 pm and have expanded the menu to meet Islander’s requests. 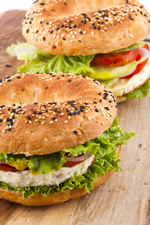 Offerings include seafood selections, fresh salads, sandwiches, wraps and burgers. Be sure to try the white cheddar pimento cheese, either as a sandwich or a topping for your burger. Patio seating also available. 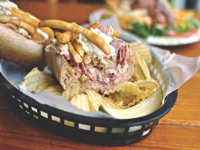 Ruby Lee’s is the Island’s newest hot spot for sports, blues and soul food. 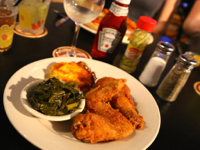 Using family recipes, Ruby Lee’s serves up such comfort food classics as authentic fried chicken, southern fried pork chops, smoked baby back ribs, seasoned pulled pork, collard greens, fresh seafood and more. Live entertainment is currently 7 nights a week starting at 7:30PM. Along with great food and music, Ruby Lee’s is also the place to be for sports fans. The restaurant has all of the sports packages and offers a daily happy hour from 4-6:30P.M. Hours are from 11AM to 11PM, Monday through Saturday and from 4PM – 10PM on Sundays. Favored by locals and visitors alike, The Sage Room offers elegant palate-pleasing fare from the four corners of the world. 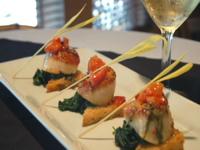 At the Sage Room you can enjoy fine dining in a casual atmosphere, with unique appetizers, diverse cuisine, and nightly innovative specials. 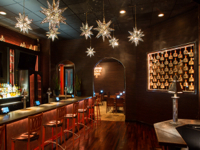 Offering a full bar and an eclectic wine list sure to please anyone’s taste. 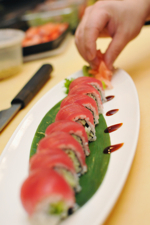 Check out this Bluffton restaurant for your sushi fix. The ambiance is beautiful and the hibachi table is lively. They offer half price sushi Monday through Thursday. CH2 is offering a coupon for Buy One hibachi dinner and Get Second half off (of equal or lesser value). Go back and cut it out. No really, Go ahead. It’s on page 34. 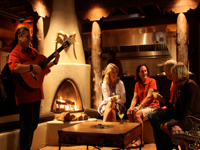 Santa Fe Cafe is a place where you can listen to live music around a kiva fireplace on their Outdoor Rooftop Cantina or enjoy an open-kitchen at the Chef’s Counter surrounded by white-washed adobe walls. Stop by and immerse yourself in the tastes, sights and sounds of authentic Southwestern cuisine. 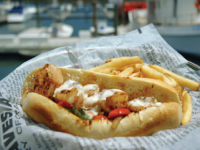 The Salty Dog Café is Hilton Head Island’s favorite waterfront café, overlooking beautiful Braddock Cove. Live music and children’s entertainment echo the sounds of family fun nightly during the season, while fresh seafood is served daily. A schedule of seasonal events can be found at saltydog.com. Be sure to check out The Salty Dog T-Shirt Factory to get your world-famous Salty Dog T-Shirt. Don’t forget the ice cream! Salty Dog Ice Cream is the perfect treat on a hot day, and with the many flavors, your choice might be the toughest decision you have to make all day. Located just below The Salty Dog T-shirt Shop, the ice cream shop is centrally located in South Beach and offers fruit smoothies and slushies too. 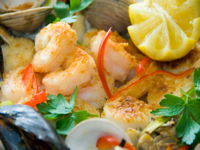 Sigler’s Rotisserie & Seafood has been open since 1996 and remains fresh and focused on its customers. Chef Michael and Shirley Sigler, along with long-time Chef Todd Elliott, are committed to being the best restaurant in the Lowcountry. Quality ingredients and unique preparations have long been Sigler’s award- winning trademark. Excellent service provided by a loyal staff ensures Sigler’s ability to please guests time and time again. Viewed from an open kitchen, offerings include a $21.95 three course “Early Dining Menu” Tuesday through Saturday, 4:30p-5:45p, and all evening on Mondays. 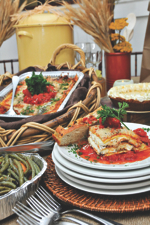 Catering for either large formal affairs or small intimate gatherings is a Sigler’s specialty. Whether in the private dining room (seating 58) located off of the main restaurant or at your location Sigler’s is perfect for business meetings and family gatherings. This Mexican restaurant, located on the water in Shelter Cove Marina, is a great place to enjoy a margarita and listen to live music. Dine inside or alfresco and watch the boats come into the marina. Kid-friendly! Skillets is open all day and serves breakfast, lunch, and dinner. 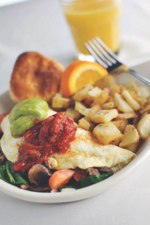 With a great early dining menu served from 5-6 p.m., kids menu, all-you-can-eat salad bar, and brunch served until 4pm every day, Skillets proves to be an island favorite year after year. Bring your best dog buddies out on the weekends for alfresco dining and the dog-friendly menu. Located in the Bi-lo Circle Center. Open from 7:00 – 3:00 pm and closed on Mondays. It is a fun family restaurant with an open kitchen and plenty of bar seats for the kids. Serving southern style American food, with breakfast and lunch all day. Kids say they serve “the best pancakes ever.” Are they the world’s best? Probably not…but they will remind you of your Grandmother’s. They make homemade salad dressing, corned beef, roast beef, chicken salad and of course Detroit, MI Coney Dogs! 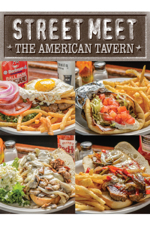 Street Meet is a family friendly restaurant & tavern that specializes in Homemade Tavern & Street Food featuring sandwiches from across the country. 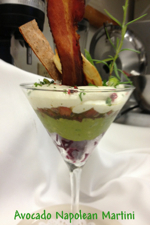 Inside & Outdoor dining, pet friendly patio, A $7 Light Lunch Menu, Dinner & Late Night Dining. Street Meet serves continuously from 11:30am til’ 1am. Take Out, Delivery and Catering Available. Street Meet is the Island’s Home of the Cleveland Browns Backers. Street Meet is The Ohio Bar! 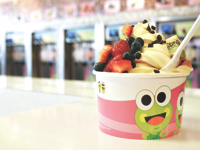 Welcome to SweetFrog® — where the goal is to create the best frozen yogurt experience you’ve ever had! 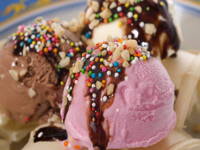 You create your own combination of delicious soft-serve frozen yogurt, then top it off with any toppings you choose! The toppings bar is stocked fresh everyday with the best ingredients for a light healthy treat, a swirling decadent dessert, and everything in between! You pick the flavors, you add the toppings, you make it your way! And most importantly, don’t forget the fun — it’s the secret ingredient! Trattoria Divina is a dream and a labor of love for all of those who have joined Chef Hugo Lee. His infectious passion for life and evident creativity make him one of the most likable culinary artists of our time. 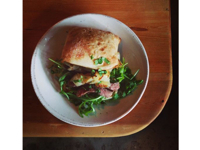 Food is house-made whenever possible. 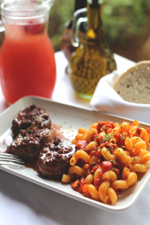 Fresh pastas and ciabatta available daily, to be enjoyed with excellent wine selections, followed by a decadent dessert creation and French press coffee. The chef and entire staff welcome you to their home for an unforgettable dining experience with great food, great wine and great friends. Established in 1983, Truffles has expanded to three locations and serves up some of the best food in the area. The ambiance alone pulls in visitors and locals with its subtle elegance and professionalism. With a vast menu, including a variety of savory goodies and decadent desserts, Truffles is the perfect stop any day of the week. 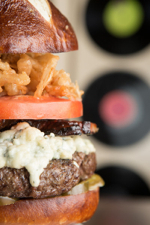 The Wreck offers the same delicious menu as The Salty Dog, but with a few extras. Its casual waterfront dining boasts two bars with extraordinary views of Braddock Cove. If you’re lucky, you can even catch a glimpse of the dolphins feeding in the creek. While seafood is the specialty, plenty of choices are available for the landlubbers. The Wreck of The Salty Dog is also an ideal choice for private parties. Voted “Best Bar in Bluffton,” Vineyard 55 proves to be an up-and-coming staple in downtown Bluffton. The restaurant offers a vast menu of appetizers, entrées, and desserts, to go along with their ample variety of beers, wines, and cocktails, not to mention their unique wine cellar atmosphere. 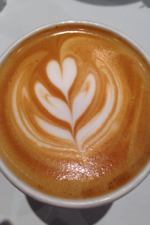 Come on in to experience one of Bluffton’s gems!